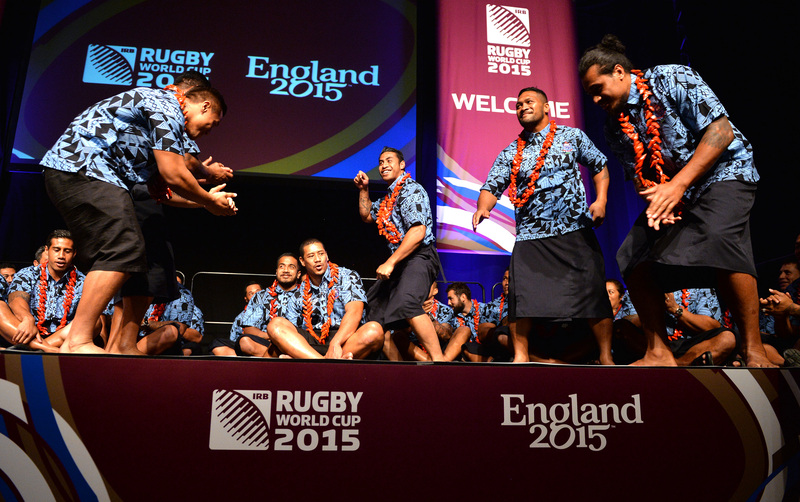 The Samoa team performs at the welcoming ceremony at Brighton Dome Friday. The U.S. and Samoa play at noon Sunday, Sept. 20, at the American Express Community Stadium. The two teams met on July 18 in the Pacific Nations Cup with Samoa winning, 21-16. Posted on September 11, 2015 by jbsaulPosted in RugbyTagged rugby, Samoa, USA Eagles.